Do You Think “YOU“ Need God? We all need God, but some people do not understand that. How about you? Here are some encouraging scriptures concerning our need for God. 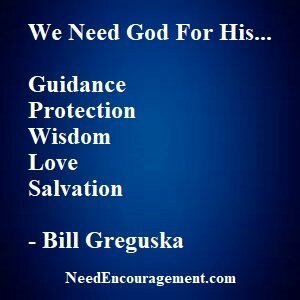 Who Is Jesus And Why Do You Need God? I sometimes think that we need God more than we realize without knowing it! Sometimes a little success can make us self-reliant and as a result push God out of our life slowly but surely. Kind of like you do not need God except for on Sundays? Even then your whole heart might not be in it? We all tend to want to be in control and self-sufficient. Once you let go of that control and give that control over to God and his teachings from the Bible, you will find things so much better. Some people consider faith in God parallel to fire insurance, something to have in the case of something happening, but never really look at it or think about it. 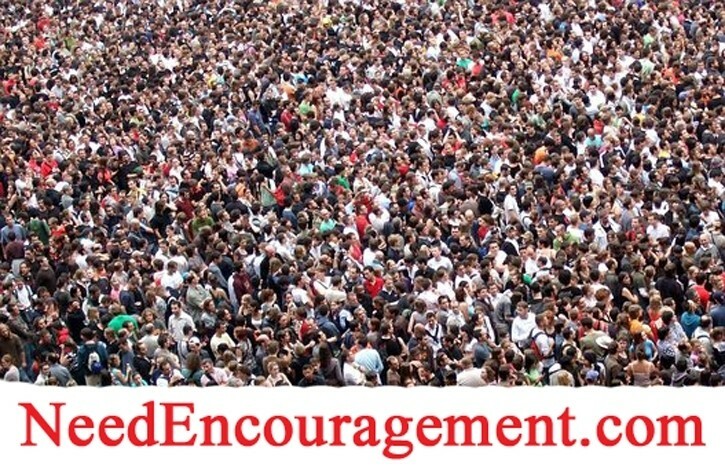 Need God Ministry gets to the heart of the problem that men and women and children all have. The problem is the sin in our lives. When I was partying and caring on, I felt I had the world in the palm of my hand. It was not until I realized that even though my life was footloose and carefree due to abusing drugs and alcohol, I did not start living life fully until God got a hold of me when I hit my bottom in 1986. Then I could understand that I needed God! Do you think that sin is a problem in your life today? Please don’t feel bad; everyone is tempted by sin. Read what it says in Romans 3:23 to learn more and also check out my page to learn that we all have been seduced by Satan in different ways. Surviving the end times – what do I need to know? What are practical ways to depend on God alone? Each one of us has Sinned Since Eve sinned in the Garden of Eden, sin has entered mankind, and has been passed down through all generations Romans 5:12, therefore, all have sinned Romans 3:23. Sin is the reason for spiritual death Sin cuts man off from God; it is the very thing that separates us from God. Sin causes spiritual death Romans 6:23, which is eternal separation from God. Sin must be paid for because the wages of sin is spiritual death. Spiritual death is separation from God. Which results in eternal hell John 15:6 if those sins aren’t paid for. Salvation Into Heaven Cannot Be Earned; It’s A Gift! We cannot pay the price for our sins our works can not save us but by God’s grace. We are saved in Ephesians 2:8-9. Salvation cannot be earned; it is a free gift from God 1 John 5:11 if only we will accept it John 3:16. Jesus paid the price for our sin without the shedding of blood; there is no remission of sins Hebrews 9:22-23. Now to obtain forgiveness, we go to Jesus, who paid the final price for sins Hebrews 10:12. Jesus died and shed His blood for sinners, and all of us were once sinners, we can obtain God’s grace through faith in His Son, Jesus Christ Romans 5:1. His blood paid the price for our sins Matthew 26:28. Jesus is The Only Way to Heaven No man can come to God the Father, except through His Son Jesus Christ John 14:6. Believing in Jesus is the only way Galatians 3:26 to obtain forgiveness from our sins, and receive salvation 1 John 5:11. He who will believe, there is no condemnation awaiting them Romans 10:11. Why Do You Think America Needs God? I Need God! Jesus Is The Answer To All Your Problems! Why people end up in Hell because they have sinned. Therefore have been cut off from God. Romans 3:23. Those sins must be paid for. The ultimate payment is eternal hell John 15:6. The only way for your sins to be paid is through believing upon Jesus 1 Peter 1:18-19. Those who won’t accept Jesus and believe in Him for their salvation are responsible for the payment of their sin. John 3:36. Recognizing your need for Jesus, and believe in Him, you can obtain salvation in John 6:40. It is NOT God’s desire to see anybody perish, but that all can come to repentance 2 Peter 3:9. Jesus will NOT cast any out who comes to Him John 6:37. There is great joy in heaven over each and every sinner that comes to Jesus Luke 15:10.